In 1896 Lewis Baxter Moore (1866-1928) made history when he became the first African American to earn his Doctor of Philosophy degree from the University of Pennsylvania. 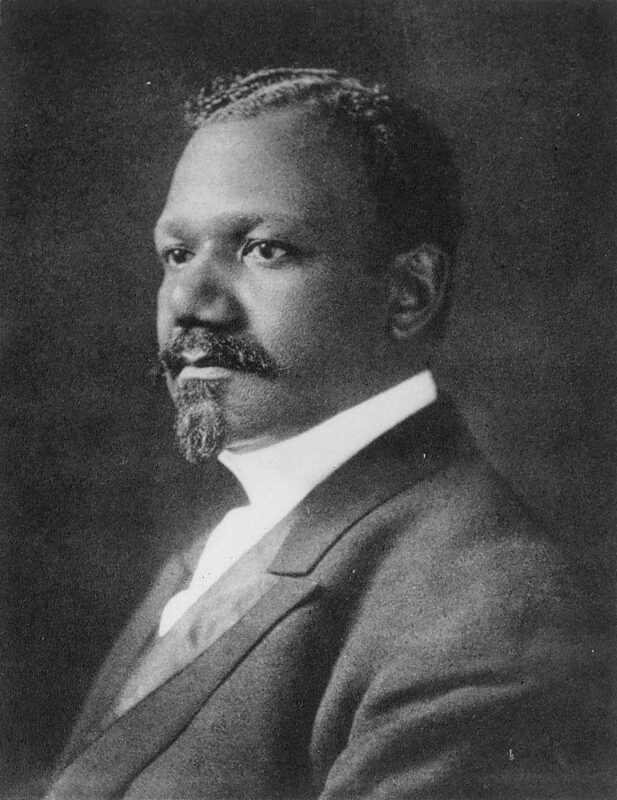 At the time Moore wrote his dissertation “The Stage in Sophocles’ Plays” and completed his doctorate in the classics department at Penn, only four other African Americans had earned Doctor of Philosophy degrees at any university. Moore, a native of Alabama, came to Penn after earning his A.B. and A.M. degrees from Fisk University. After his graduate work at Penn, Dr. Moore went on to teach Latin, pedagogy, psychology, philosophy, and education at Howard University where he served for many years as the dean of Howard’s Teachers’ College. After becoming an ordained minister, the Rev. Dr. Moore spent the last three years of his life in Philadelphia as the pastor of the Faith Presbyterian Church in Germantown. Lewis Baxter Moore’s first wife was Sadie Elizabeth Tanner, a sister of the artist Henry O. Tanner and the maternal aunt for whom Sadie Tanner Mossell Alexander, B.A. 1918, Ph.D. 1921, LL.D. 1927, was named. Sadie T.M. Alexander was particularly close to her Moore cousins, for she made her home with them in Washington, D.C., while attending high school.